Horses R Cool is a horse and pony riding school serving the Calgary area. 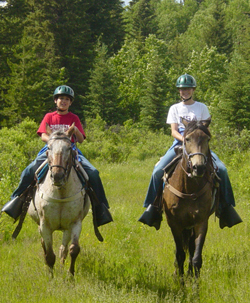 Horses R Cool is a horse and pony western riding school serving the Calgary/Cochrane area. We offer summer camps, spring and fall riding programs as well as community pony rides, birthday parties and instructional programs involving horses and ponies.We focus on the beginning/returning rider and welcome those with special needs. "Bringing people and horses together for well over 30 years"
Further information in the spring. We are located at Beaupre Hill Ranch, west of Cochrane. Thanks also to everyone for a successful 2017 year. The season will resume in the spring of 2018. Keep visiting for updates on this site and please visit our Horses R Cool Riding School Ltd page on FACEBOOK for a peek inside. 2018 REGISTRATION Now open Please contact us by email to register or inquire. who knew "school" could be so much FUN!